Then just last July at ONE: REIGN OF KINGS in Manila, Nguyen suffered his second-consecutive bantamweight loss, courtesy of newly-crowned ONE Interim Bantamweight World Champion Kevin ‘The Silencer’ Belingon. And while it was an invaluable experience getting to test his skills against arguably the two best names in the 65.8 KG-division today, Nguyen says that the smart move is to stay in the heavier weight divisions. “It was a good learning curve, and a good experience overall, but I will stick to my roots where my body feels stronger and more comfortable.” Nguyen added. 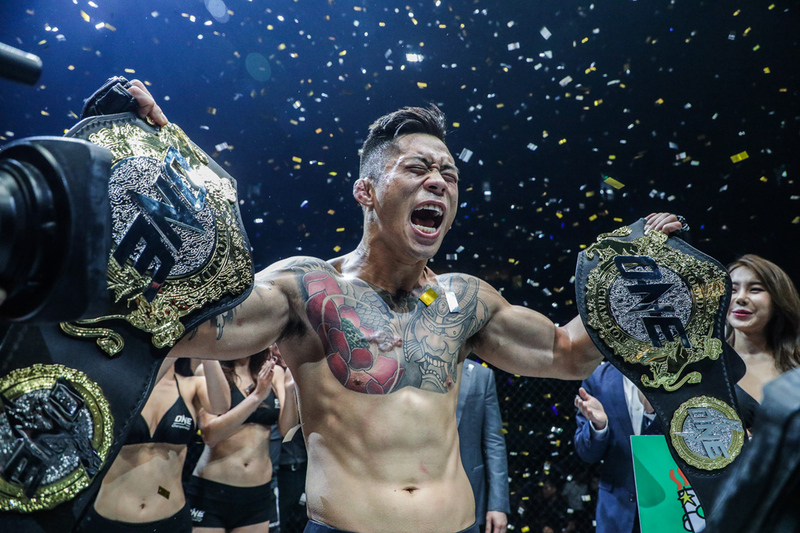 Now, the Vietnamese-Australian star shifts his focus to the possible threats to both his featherweight and lightweight thrones, and there’s a plethora of challengers that are ready and willing to dethrone Nguyen from both kingdoms. 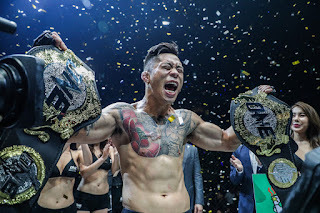 ONE Championship’s lightweight division remains as stacked as ever, especially with former world champions Shinya Aoki and Eduard Folayang on the upswing, and solid contenders such as Ev Ting, Timofey Nastyukhin, and Honorio Banario on the rise as well. Nguyen has yet to defend the lightweight belt, but gave his take on who he believes should be in the front of the lightweight title picture. Aoki’s last two contests have lasted a combined five minutes and thirty-one seconds. He submitted Rasul Yakhyaev in just over three minutes in Singapore, before finishing off Shannon Wiratchai in just over two minutes in Manila. “As far as Timofey Nastyukhin goes, he is not as busy as I would expect for someone who wants to get a title shot, and Amir Khan is fighting Honorio Banario in Shanghai, so we will see if he jumps ahead if he wins.” Nguyen added. As for the featherweight division, Nguyen sees another former champion in Mongolia’s Narantungalag ‘Tungaa’ Jadambaa as a viable challenger to his title. “If that is the next one for me, then I want Jadambaa. He is the ex-king, he is a legend, and he has been in this sport forever.” shared Nguyen. It would be hard to argue with Nguyen, given that Jadambaa is 4-1 in his last five matches and is coming off back-to-back victories with a unanimous decision win against Kazuki Tokudome and a second-round TKO win over Edward Kelly. Another intriguing direction for Nguyen would be a grudge match against the very man that he dethroned to become the featherweight king, former champion Marat ‘The Cobra’ Gafurov. Currently, Nguyen and Gafurov have split their first two meetings, and a trilogy bout is something that the reigning champion believes is inevitable down the road. “I know the rematch is going to happen eventually, so we will see what happens.” Nguyen continued. 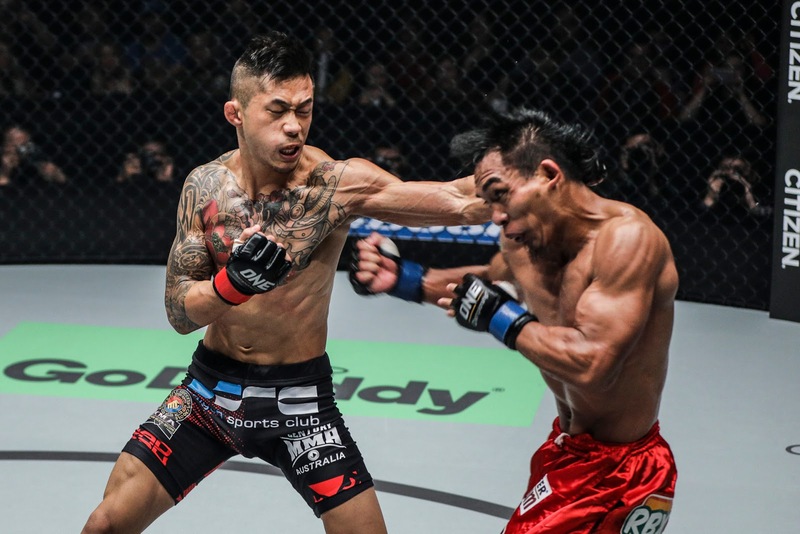 Nguyen successfully defended his featherweight title in Singapore back in May, defeating Christian Lee via Split Decision. What’s next for Nguyen is yet to be determined for now. Whoever gets put in front of the two-division king, it’s sure to be a must-see matchup.